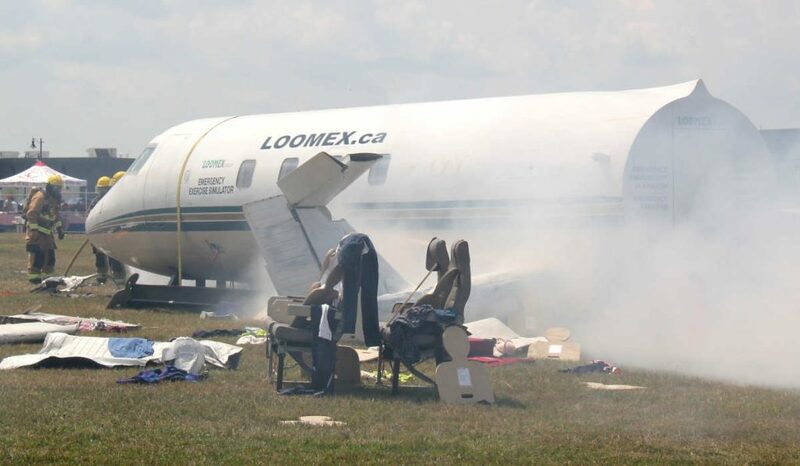 The Loomex Group runs an emergency training demonstration on its 44-foot Mobile Jet Simulator for crowds at Peterborough Air Legends in early August. For more information visit loomex.ca/training-series. Established in 2009, The Loomex Group is comprised of experts in emergency management, including pilots, airport managers, administrators, former fire chiefs and community emergency management coordinators. The company operates the Peterborough Airport as well as the City of Kawartha Lakes Municipal Airport, Greenstone Regional Airport and the Nakina Airport.